Emily Hall helps a patron at her St. Charles bookstore. She's concerned that a repeal of net neutrality could hurt her ability to reach patrons and event-goers. On a recent morning, Emily Hall filled two online orders at Main Street Books, the St. Charles shop her family has owned for four years. As she worked, customers came to buy books and chat about upcoming author events they’d heard about or seen on the store’s website. But Hall fears that her bustling store could see a drop in business if the Federal Communications Commission on Thursday votes to repeal net neutrality, landmark rules that guarantee an open internet. As a small bookseller, Hall worries that a repeal might mean that retail giants like Amazon will have more resources to buy access to viewers, or to pay for higher speeds than less wealthy competitors. That might affect consumers, too, because companies may have to pass on higher fees to their customers. With local bookstores closing across the country, an FCC vote to repeal “could make it that much harder for us to compete in a market that’s already unfriendly to independent bookstores,” Hall said. Federal regulations adopted in 2015 prevent internet service providers — all the cable companies and wireless providers who sell internet access — from blocking some services or deliberately slowing down data. They also can’t require payment to prioritize one website or company or user over another. When charging for services, the services and prices must stay more or less consistent between consumers and purchasers. 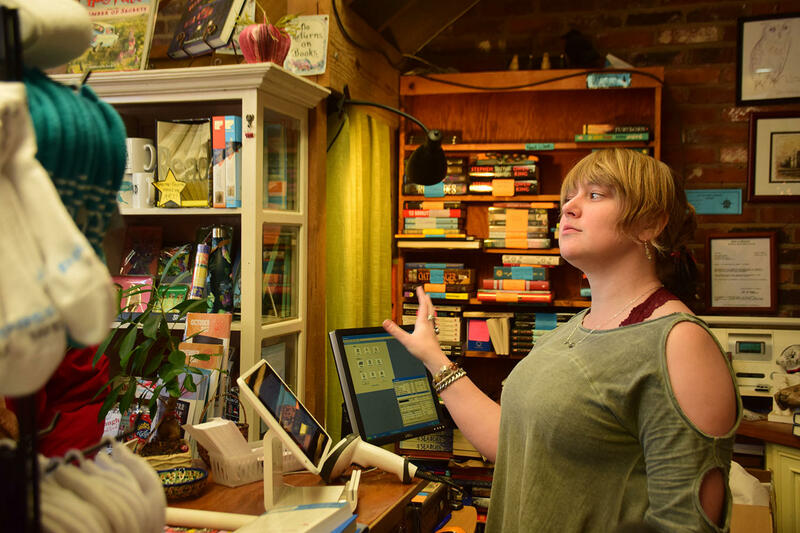 "[A repeal] could make it that much harder for us to compete in a market that's already unfriendly to independent bookstores." Removing net neutrality would eliminate many of the regulations. But no one knows exactly what internet service providers would do with less regulation. “Net neutrality is a buzzword,” said Simon Igielnik, a retired internet specialist at Washington University. Often when people say “net neutrality,” they use it as shorthand to describe an equitable internet, said Igielnik, who who helped develop internet infrastructure and computer support systems for Washington University. But he said that the internet as it exists isn't truly neutral and universally accessible. What would a repeal mean? If the FCC repeals net neutrality, Igielnik said, that would make it easier for internet service providers to repackage products and charge more. But that would only expand the current system, not create a new one as many fear, he said. That troubles Hall, of Main Street Books. In November, the store started selling books to customers who don’t want to make the trip to St. Charles. It also advertises events online. Websites for public libraries, authors and publishers can connect potential event-goers to tickets and information. Hall said if the FCC ends net neutrality, it could cost more to publicize the events and sell books online, and her store could lose money. "The internet flourished under a bipartisan, light-touch regulatory approach, creating millions of jobs and generating nearly $1 trillion in economic investment." Advocates of net neutrality, like Hall, say that the regulations are crucial for maintaining an affordable, open internet. 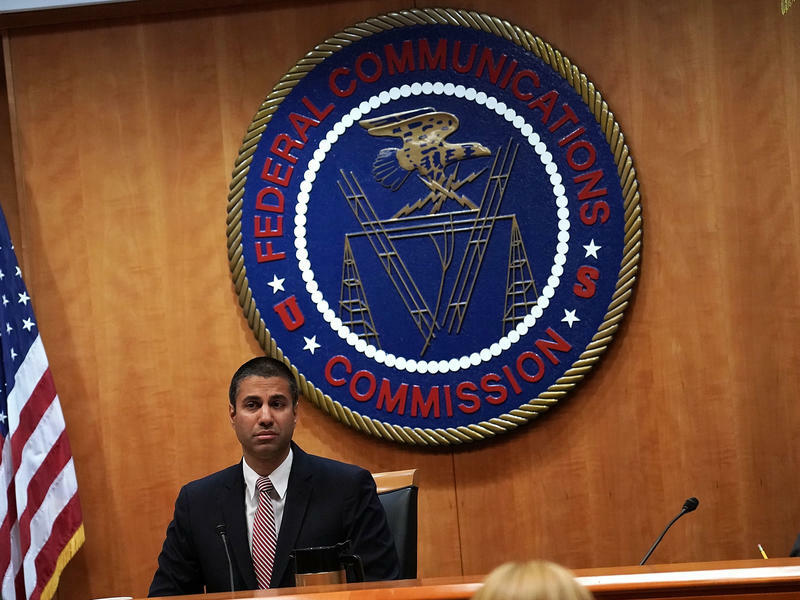 Federal Communications Commission Chairman Ajit Pai has argued that net neutrality has discouraged internet providers from investing in services and infrastructure. Last week, Democratic U.S. Sen. Claire McCaskill spoke against the FCC's proposal in a letter addressed to Pai. Hall is one of many who’ve asked questions about how a repeal of net neutrality could change the internet. Kevin Walker runs Project Appleseed, which is rolling out a program to increase digital access for poor St. Louis communities. He worries that a repeal of net neutrality might interfere with his work. 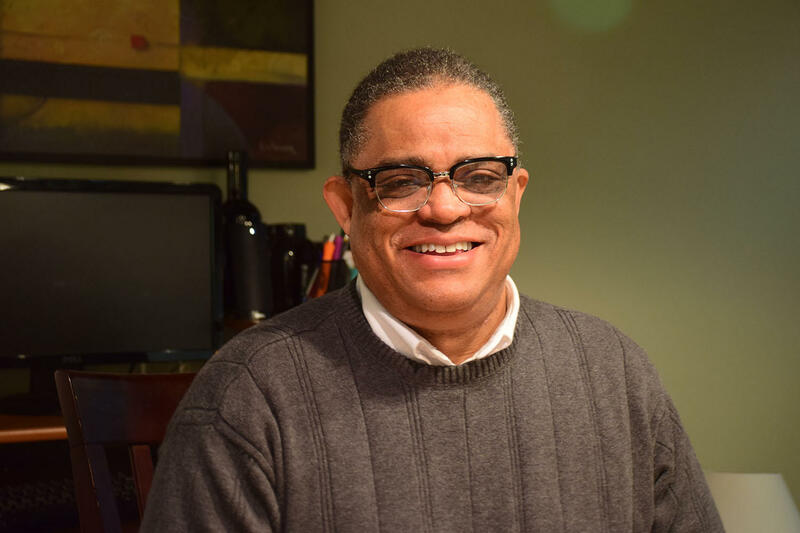 Kevin Walker is the president and founder of Project Appleseed, a national organization that campaigns to improve public schools. Walker is based in St. Louis, where he’s spearheading an effort to “close the homework gap” between wealthy and poor communities in the region. "It will allow [providers] to ignore people who don't have the funds to get what they need." Consumer concerns that the internet might cost more are legitimate, Igielnik said. But Igielnik expects that as long as multiple providers exist, competition between companies could prevent more extreme shifts in pricing and access. Walker is already concerned about the legal ramifications of existing regulations. From his perspective, internet providers already don’t have enough incentive to serve poorer communities that can’t pay well for access. “We won’t know until the order’s removed who is going to try to skirt the rules and bend the regulations,” he said. But he fears that a repeal of net neutrality will worsen already-bad internet options for low-income people. “It will allow [providers] to ignore people who don’t have the funds to get what they need,” Walker said. That's significant, Walker said, because the internet connects people not just to community, but also to valuable services, job applications, banking options, and educational opportunities. John Mitchell Price, who studies misinformation, said that pay-to-use service packages could incubate falsehoods. Ending net neutrality could jeopardize the quality of information available, according to John Mitchell Price, a media literacy researcher in St. Louis. Price studies misinformation. Based on his research, he’s concerned that a repeal of net neutrality could result in a perfect environment to incubate falsehoods. Price worries about a system where internet service providers split web access up into packages that offer different kinds of content. "You could have left in one package, and right-leaning news organizations in the other. So with those packages being separated, you're going to have an echo-chamber institution for both sides." According to Igielnik, a similar “cable TV model” is a “very plausible” outcome in a post-net neutrality internet. If providers in the United States applied a package system to news, Price said it could spread misinformation. Many people also mostly use the internet for social media. If someone decided only to pay for a social media package, Price said, they could be exposed to more false information and become more inclined to believe in “fringe, clickbait conspiracy.” And they wouldn’t necessarily have access to fact-checking websites. A repeal of net neutrality rules could harm local news, according to a report by Stanford University researchers. That’s bad for fighting false information. “One of the best ways to combat fake news and also to get reliable sources is the promotion of good local news,” Price said. 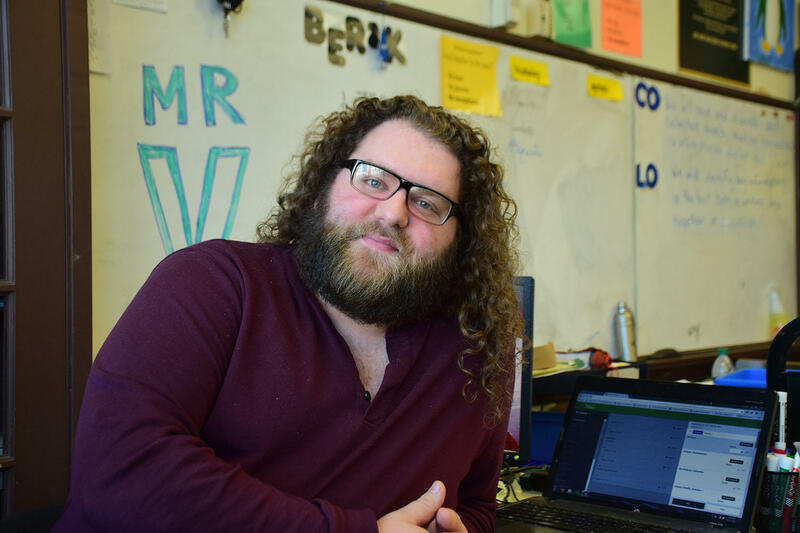 As an independent musician and teacher, Jacob Videmschek uses the internet to find inspiration and educational materials. He thinks neutrality might make that harder. 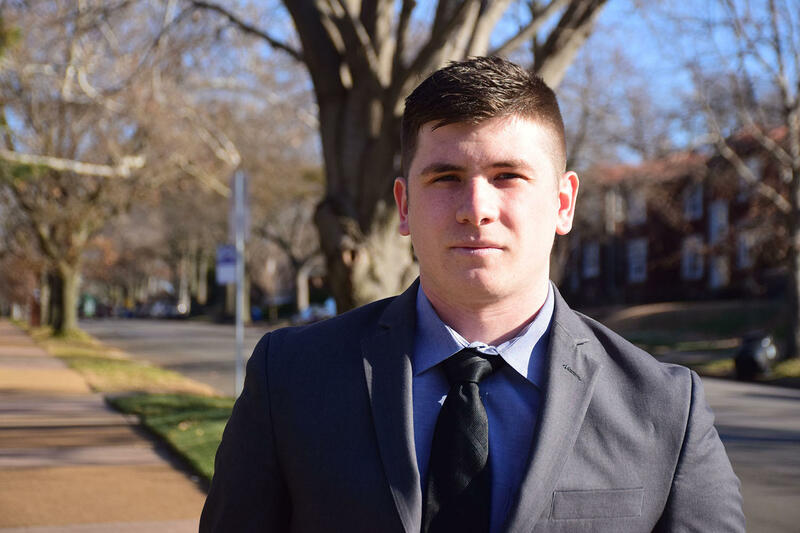 As a St. Louis-area junior high school teacher and musician, Jacob Videmschek also values being able to dig into the nooks and crannies of the internet to find interesting and useful information. He envisions a platform more like cable, with packages and a structure that the internet currently lacks. “I feel like I’d be manipulated and spoonfed whatever the most expensive pieces of the internet were, whatever people spent the most money for me to free,” he said. "I wouldn't necessarily seek out the more independently functioning places where artists have 100 percent control over their publishing or their presence." To some degree, the internet already works that way — but it currently doesn’t cost consumers additional money to browse past the obvious websites. For instance, Videmschek uses the website Bandcamp to find music from other independent creators like himself. But he knows that given the choice between a higher premium and less access to independent artists, he’d opt to save money. “I’d stick to my Spotify and my Apple Music, and I wouldn’t necessarily seek out the more independently functioning places where artists have 100 percent control over their publishing or their presence,” he said. If it became harder for other educators to share materials, Videmschek said it would be harder for him to do his job. He finds teaching materials like “a little worksheet that some teacher put on her blog, or a slideshow from a university class about a similar topic,” in obscure corners of the internet. “I have to have that more robust, unfiltered version of the internet to search through to find those things,” he said. In the indie circles where Videmschek plays, some musicians have reverted back to distributing music on analog platforms, like cassette tapes. If the internet changes, he wonders what creative ways might artists have to devise. Cassette tapes could just be the start. Igielnik, the retired internet specialist, said the net neutrality currently in place isn't perfect. Correction: A previous St. Louis Public Radio Report incorrectly described an internet package deal offered by a Portuguese telecom company.